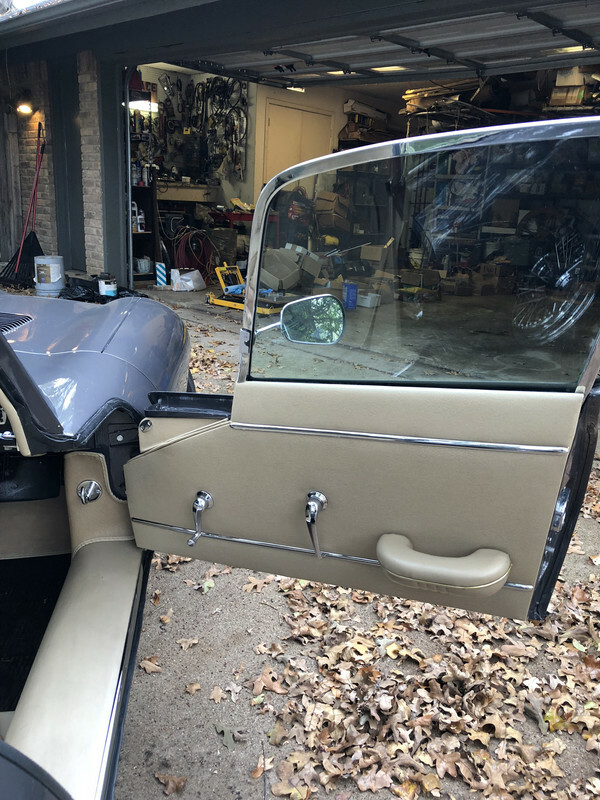 Trying to decide what mirrors to fit (I prefer not to drill the body) found theses and wondered if anyone has installed them or any other options? I have clip on mirrors which attach to the window frame. Never tried those but they may be too heavy for the mount. Even the flat ones are difficult to keep in place but if one of those bullets came off at speed it is likely it would cause damage to the bodywork and paint. I'd be dubious. I bought the Fosseway ones which are purportedly designed for the E Type. Even then, they didn't secure properly. I had to cut off the inside leading edge of the bracket to allow it to go far enough into the frame - I obviously had a narrower frame than some. I also inserted some non-slip rubberised material in between the frame and bracket plate to make it grip properly. Fine now, but I first got them the day before I left for a fortnight in Spain. I put zip ties loosely round the arms, and trapped the ties in the door above the mirror so that if they fell off, they wouldn't rattle down the side of the door. As I say, good now and pleased with them. 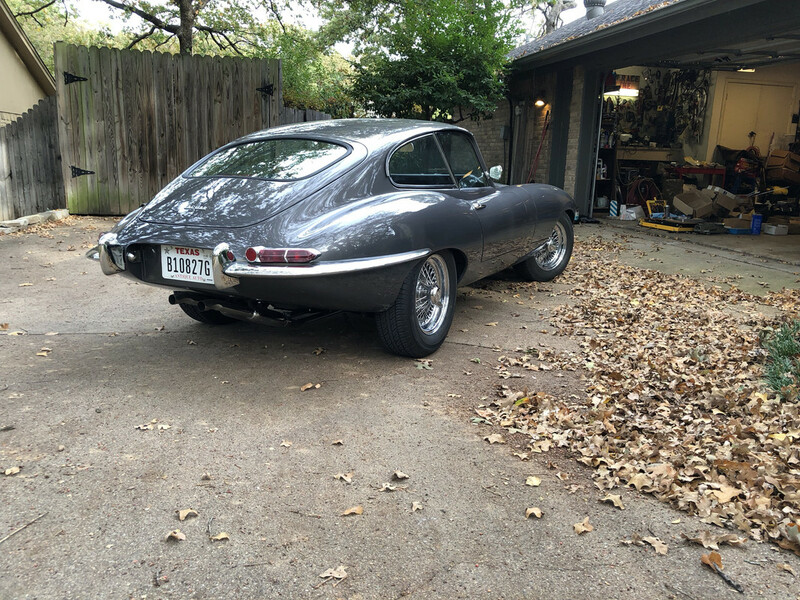 Yes, the problem is the mounts are designed for deep flat frames whereas on the E-Type they are curved and narrow. The result is the mirrors are only held in place by a very small area of the mount. I had to modify the rear metal clip to make it shallower and then grind the cast chromed mount into a curve to match the frame. I then used some inner tube rubber as a non slip gasket between the mount and the frame. This works well and they have not fallen off since. I'm using the Tex clip-on, but modified the mounting such that it slides/loops over the leading edge of the window frame instead of gripping from the trailing edge. This keeps it somewhat attached even if it should come loose. The modification involved slicing the bracket lengthwise, and welding in a spacer. Then flip the bracket around as described above and shown in the photos. I like the design because it doesn't clutter the lines of the car. I believe Tex is a UK company...I got them from XKS in the U.S.
Might that not cause damage to the door seals? It clears the leading edge of the body seal. The door window frame seal is trimmed back in the area of the mirror bracket. Beats dings down the side of the car, and the window frame seal is simple to replace. Did you need to cut the rubber in the window channel to get it to fit, or was there room for the bracket to slid in between the chrome & the rubber.